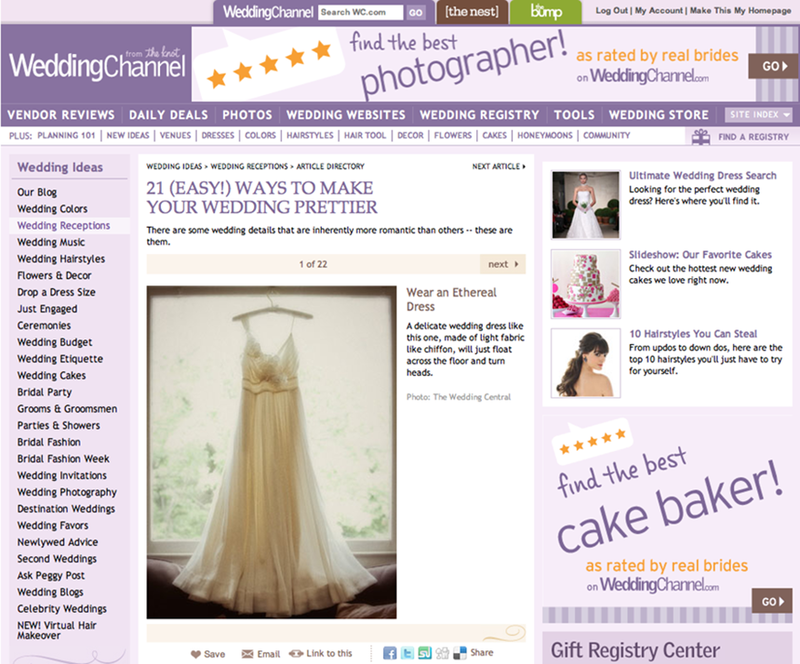 We are super excited to see our ethereal wedding dress featured on Wedding Channel as part of their slideshow “21 Ways to make your wedding prettier “. I’m sure our bride Marcela will be happy to see her J Crew ethereal wedding dress featured as part of a romantic theme because romantic was the word she used when I asked her to describe how she envisioned her wedding photos. You can see Marcela’s and Eric Romantic Wedding here.